Argentina team tactics against Nigeria 'leaked'! 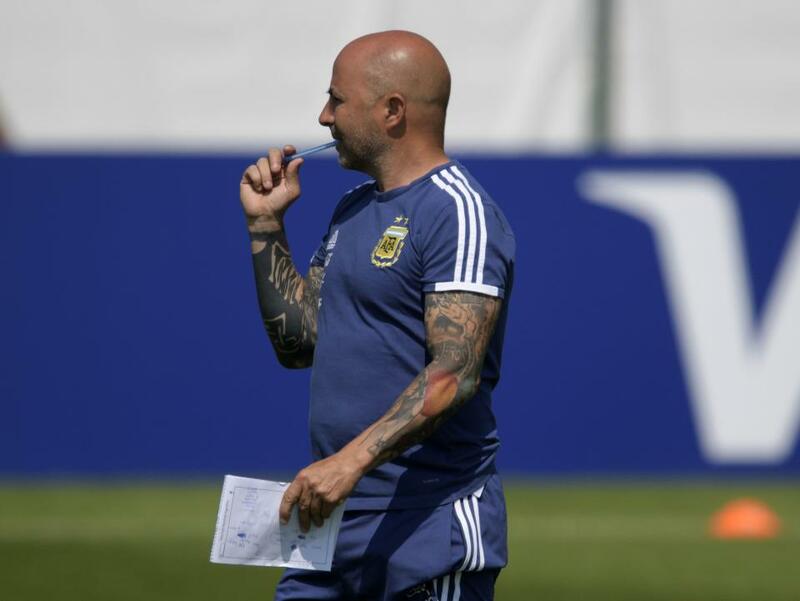 Argentina's tactics for their crunch World Cup clash with Nigeria appear to have been leaked after Jorge Sampaoli was caught out - just days after England's team was also revealed by photographers. Under pressure, Sampaoli was taking his squad in training ahead of their must-win Group D game next week with the world's media watching from the sidelines. Argentina boss made the mistake of leaving his tactical notes wide open and easy for photographers to snap - giving some indications of his tactical thoughts ahead of the do or die game in St Petersburg on Tuesday. It mirrored the similar gaffe made by England coach Steve Holland earlier this week as early planning for the game against Panama were revealed. Holland took to the field for an open training carrying a diagram of the possible team Gareth Southgate is hoping to name for their Group G game on Sunday. Southgate then questioned whether the English media were on the side of his team or not, even though the images were clear for journalists from all countries to see. Now Sampaoli has been caught out in a similar way, leaving his own diagrams clear for the watching media to see. They did not quite give away as much of a clue of the team selection England had, but there were plenty of potential combinations of see. They were two seven-a-side teams with two players, including Lionel Messi, appearing to be rotating to play with each side. The pictures were first published by the Argentine sports magazine Ole, as the country gets prepared for the vital game against Nigeria.